E posso oficialmente dizer que estou de férias!!! Sabe tão bem! De tarde aproveitei e fui fazer as últimas compras de Natal, comprei também umas coisinhas para mim (que mal posso esperar por vos mostrar) e claro depois fui beber um cappuccino ao Costa Café. Foi um primeiro dia de férias muito bem passado. Talk to you tomorrow! And I can finally say that I'm on vacation!!! It feels so good! 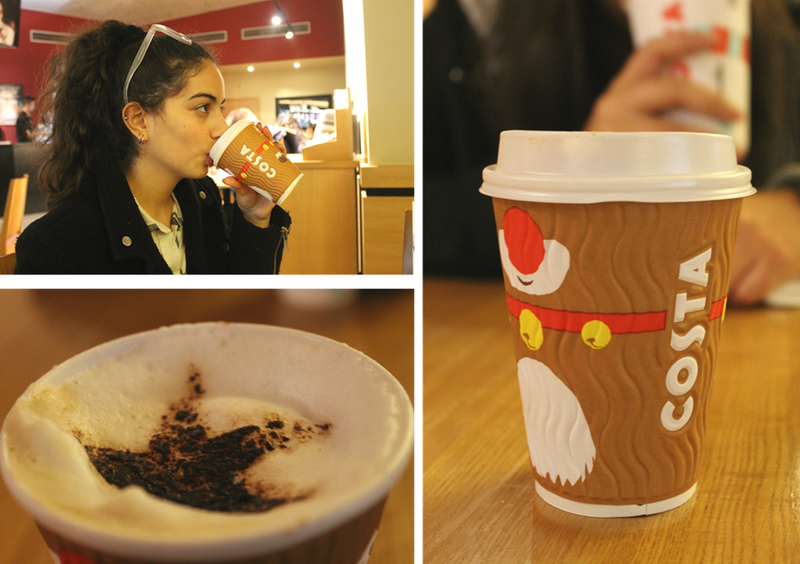 On the afternoon I went buying the last Christmas gifts, also bought some things for myself (that I can not wait to show you) and then of course I went to Costa Café for a cappuccino. It was an amazing first day of vacations. Talk to you tomorrow!